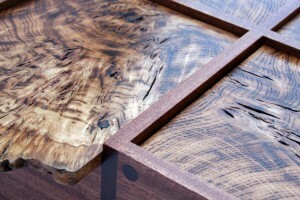 Alasdair Healy creates exceptional hand crafted jewellery boxes, drawing on his experience in some of the leading furniture workshops in the UK. 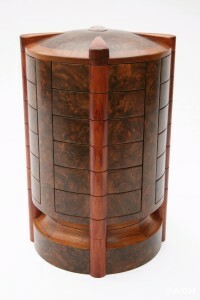 In 2005, Alasdair was awarded a craft guild mark by the Worshipful Company of Furniture Makers, for his Jewel Tower in burr walnut, bubinga and sycamore. Makers who have been earned this award “can justifiably claim to be one of the best furniture craftsmen in Britain.” Alasdair took a few minutes break from his workshop to tell us a bit more about setting up his new small business in Jersey. 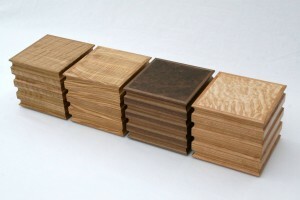 Hello my name is Alasdair, I’ve been a cabinet maker for 18 years and worked for some of the leading bespoke furniture workshops in the UK, including: Williams and Cleal , Senior and Carmichael and Matthew Burt . 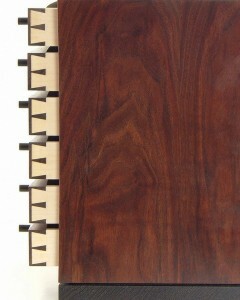 Although I'm capable of creating any piece furniture, I've always enjoyed the smaller intricate work. 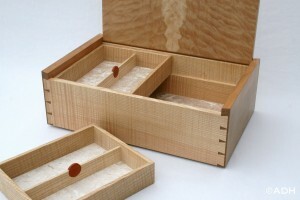 So the focus of my own business is fine contemporary jewellery boxes. 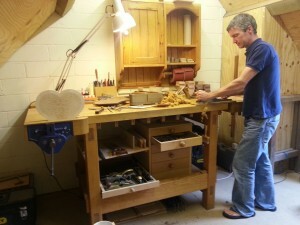 The smaller scale also suits the workshop space I have. I've always wanted to do my own thing. The long awaited opportunity to start my own small business was due to support from my wife Naomi, a midwife, and the new lifestyle we wanted to experience here in Jersey. We moved to the island in November last year, and it seemed a perfect time to develop and create my own ideas and designs, inspired by this beautiful island and the stunning scenery around me. A typical day consists of many things: as I'm working from a home setup I am able to do multiple things both in the workshop and around the house. Also, walking the bulldog at St Ouen is a daily pleasure and good thinking time. As a startup business, everything I'm making is speculative. The idea is to gain enough interest so that commissions are made for bespoke pieces: from a special anniversary gift to a case for a cufflink collection, for example. 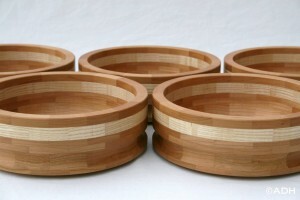 I’m also working on a batch of small gift boxes, so that I can join in at the various craft markets on the island. Making contemporary jewellery boxes involves a set of processes, working from a drawing to create the various components of each piece. What I do takes time and needs to be 'right'. The precise and meticulous nature of my work means that I only produce small numbers. Now I have a range of pieces completed, I'm working on finding opportunities to show my work. This Sunday (8 September) I will be exhibiting my work in the Bakehouse at Morel Farm, as part of the Hidden Treasures Heritage Festival. This will be the first chance to see all my work up close, but I also plan on attending some craft markets. I’m also in discussion with a few galleries so will soon be able to show more work. In the meantime, I'll continue to keep making my designs and establish a range of work of the highest quality.